San Diego is definitely one of California's must-see cities, from their beautiful beaches to their trendy shops and exciting nightlife. It had been a few years since I had last visited San Diego so my list of must-do things had gotten to be quite long. 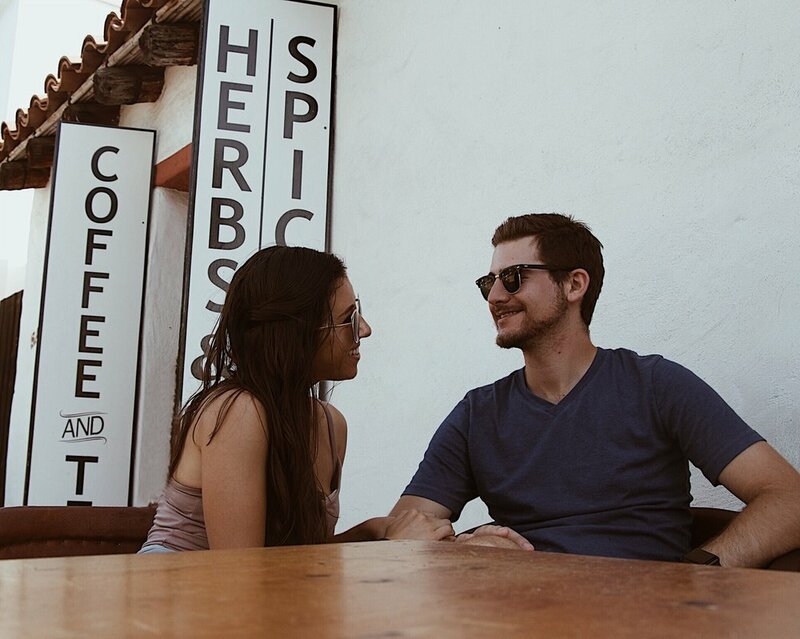 If you're planning/want to visit San Diego in the near future, you'll definitely want to glance over this post and bookmark these locations on Instagram! Parakeet Cafe in La Jolla is a must stop for my fellow healthy foodies out there. 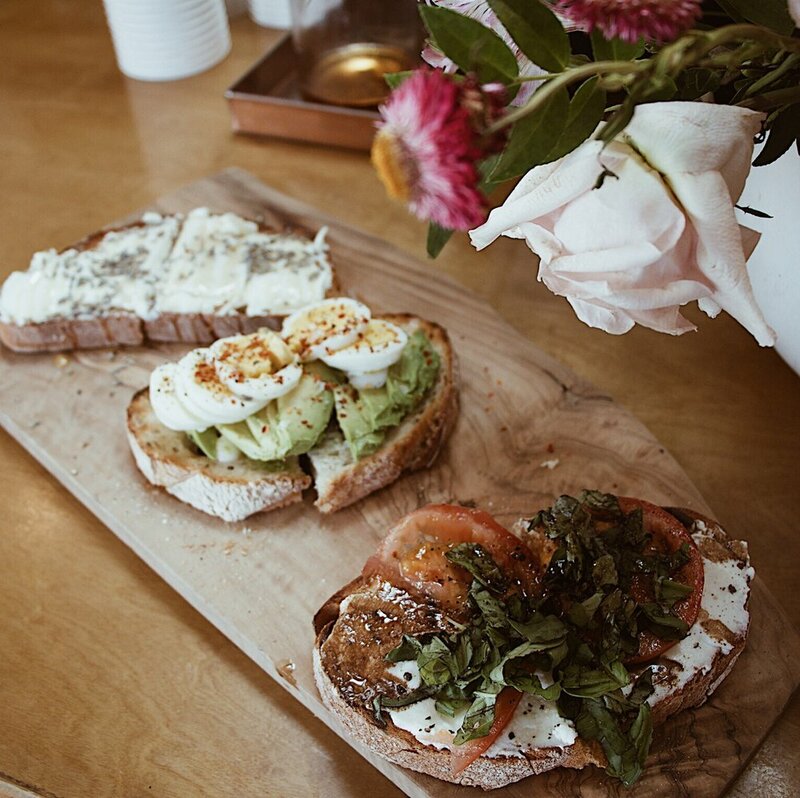 The place is not only super aesthetically pleasing, their menu offers a perfect variety of favorites that will not leave you feeling guilty after for eating them! I recommend ordering the turmeric latte with the matcha waffles! 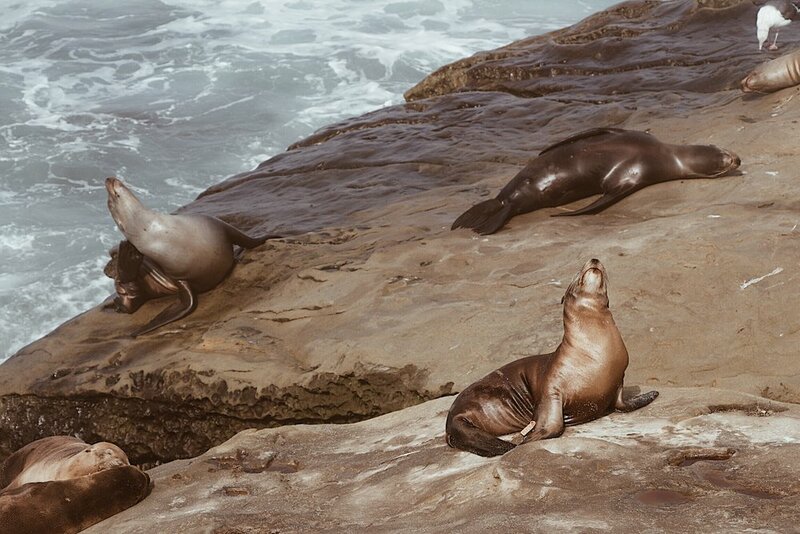 While In La Jolla, and if you have a love for chubby little seals, then go checkout La Jolla Cove. This gem of a beach has more seals than I have ever seen in my life! Mind you, it does smell terrible in parts, but it's so worth it to get up close to these cuties! And after you finish walking around the beach, you can visit the original Dr. Seuss Lorax tree in Scripps Park - which is walking distance from the beach. After spending the morning exploring, take a coffee break at Heartwork Coffee Bar. They use local coffee beans from James Coffee Co. & Dark Horse and their shop is simple, with very friendly staff. Now that you have a little pep in your step from the coffee break, you will be ready to explore historical Balboa Park. This place is huge so be prepared to do a lot of walking! A must see in Balboa Park is the Alcazar Garden, the architecture here is truly breathtaking. You can even head on up to explore inside the tower for an additional museum fee. For some of the best, authentic Mexican food, head on over to Jalapeno Mexican Grill. It's a tiny, hole in the wall restaurant with limited seating outside, but I promise you it's worth it! After spending the afternoon walking all over, you'll for sure have worked up an appetite, and what better place to find a ton of food options than Gaslamp Quarter! I recommend visiting Monkey King - a Thai restaurant specializing in all of your favorite Thai dishes. The restaurant has an intimate feel to it thanks to the dimmed lights and enclosed booths so it is the perfect place for a date night! I recommend ordering the veggie potstickers and mango chicken. Their portions are quite big so make sure to save room for dessert ;). Be prepared to visit the coffee shop of all coffee shops... drumroll please.... Communal Coffee. This place is truly every Instagrammers dream! Communal Coffee is not only a coffee shop, but also a flower shop! 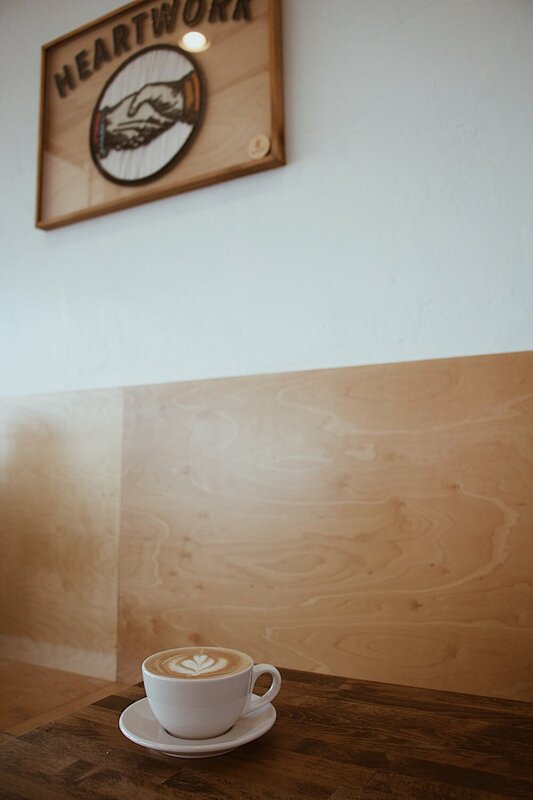 The shop is very spacious with two separate rooms for people to sit and enjoy their coffee as well as a comfortable outdoor patio area. Now onto their menu, being a huge fan of all toast dishes, I decided to go for the toast flight and it was definitely worth the $20! The flight came with their avocado toast, caprese toast, and lavender honey toast (my favorite was the lavender honey). They brew a variety of floral infused lattes - I recommend trying their Rose Vanilla Latte if you're into sweeter flavored coffee! And when you finish munching and sipping, you can walk around and buy yourself a cute memento from your visit or some flowers! And what's a trip to San Diego without some of their infamous Mexican food?!? Old Town has quite the abundance of delicious Mexican restaurants - most of which offer handmade tortillas that you can see being prepared right in front of you! After a long day of walking, eating, and drinking, it'll be time for some relaxation on the beach. I recommend checking out Sunset Cliffs - their views truly cannot be beat and if you're feeling adventurous you can jump off of the cliffs right into the Pacific! And did I mention the breathtaking view?!? What's a getaway trip without finding the best local dessert shop? Pop Pie Co. offers a variety of savory and sweet mini pies that will definitely satisfy your craving! Their coconut cream pie is truly a little piece of heaven! Another day, another coffee shop! For your Sunday morning, head on over to Coffee & Tea Collective for a real treat! It can be a little tough to find parking so be wary of that (we parked down a residential area and walked over to the shop). The interior of the shop is minimally decorated and quite spacious with a lovely desert inspired mural painted on one of the walls. 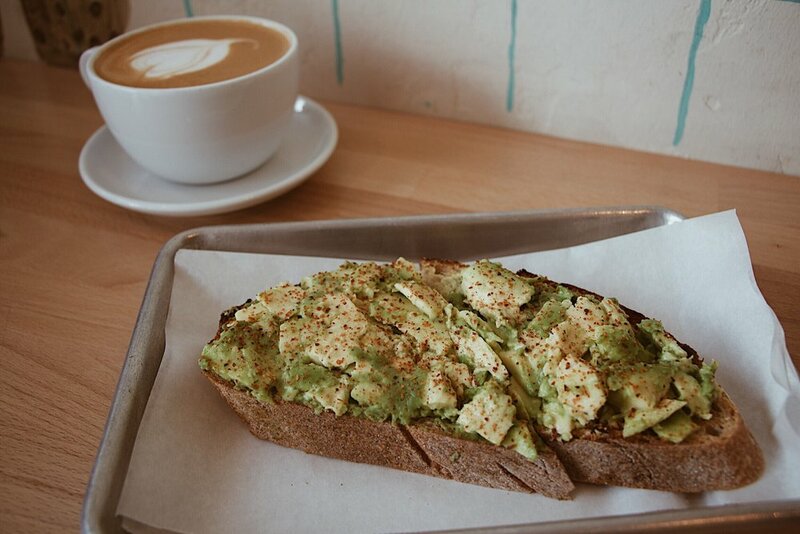 Delicious coffee, yummy food, friendly baristas and a nice plus - they roast their own coffee! Food wise, you can never go wrong with their avo toast, but they also offer waffles from a local waffle place, WOW WOW WAFFLE, that I am now regretting not ordering. Overall, 12/10 recommend Coffee & Tea Collective. 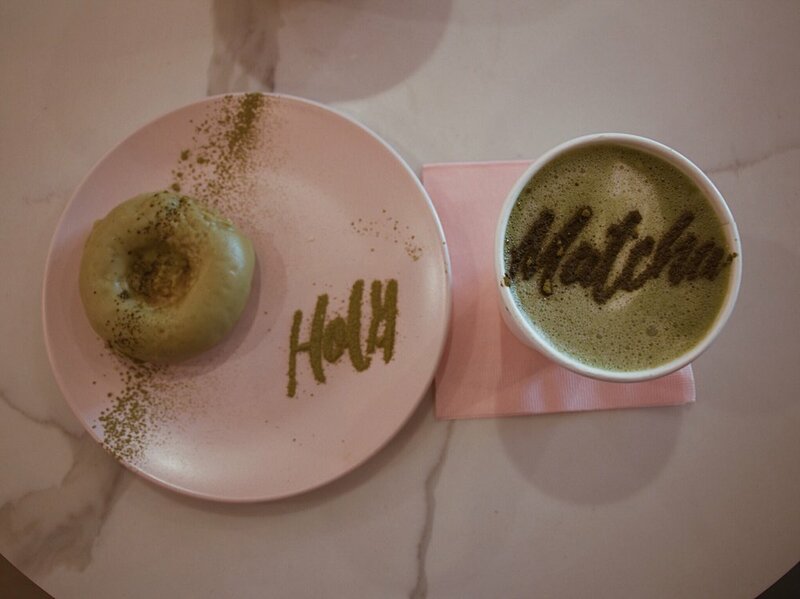 A trip to San Diego would not be complete without getting some matcha at Holy Matcha. 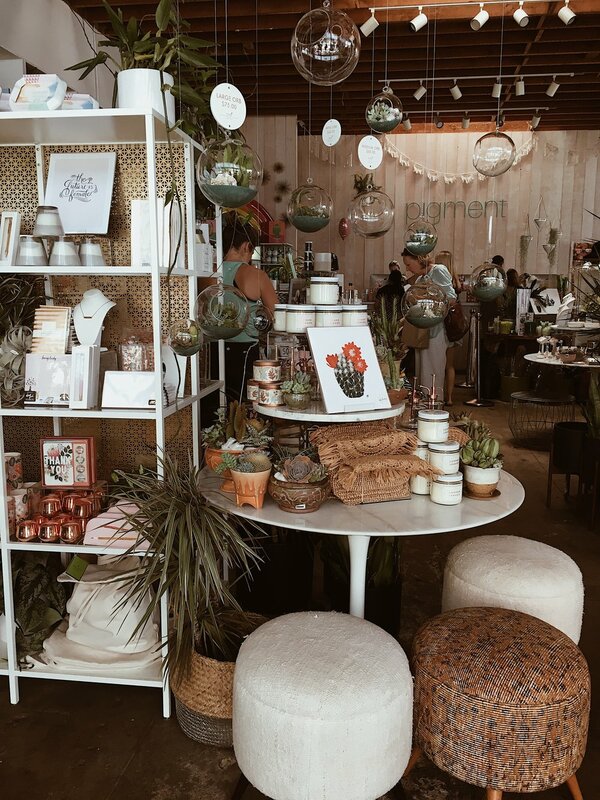 This is another amazing little shop where you can definitely get your Instagram game on! Even if you're not a matcha fan, head on over anyway because taking photos here is exactly what your IG feed needs. The shop is so aesthetically pleasing, with pink and green accents and their menu is also to die for. Aside from hot and iced matcha, they also offer matcha donuts, and dairy free matcha soft serve! If you're up for more exploring that includes beautiful views, then head on over to Cabrillo National Monument - there you will find the Old Point Loma Lighthouse and tidepools. There is a fee to access the area ($10 per vehicle), but it is definitely worth it in my opinion! The lighthouse itself is very beautiful and quaint and walking around the tidepools is another very exciting experience. Just be careful not to slip and almost fall off the cliffs like we did!